211 Bernard: TOMORROW!! Margaret Atwood in Conversation with Sheila Heti! December 4th at the Rialto Theatre! TOMORROW!! Margaret Atwood in Conversation with Sheila Heti! December 4th at the Rialto Theatre! 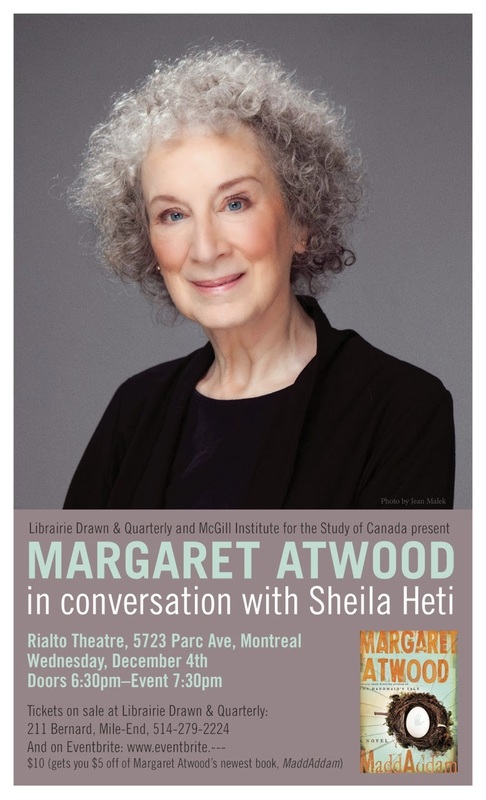 To celebrate the publication of her latest novel MaddAddam, the final book in her critically acclaimed and best-selling Dystopian trilogy - which began with Oryx & Crake (2003) and The Year of the Flood (2009) - Librairie Drawn & Quarterly and the McGill Institute for the Study of Canada are extremely proud to present a reading, Q&A and on-stage discussion with celebrated author Margaret Atwood at the Rialto Theatre (5723 Parc ave.,Montreal)! Joining her in discussion will be fellow-Canadian bestselling author and Librairie D+Q favourite, Sheila Heti! Sheila is the author of 5 books (including the New Yorker books of the year The Chairs Are Where the People Go and How Should A Person Be?). Her books have been translated into ten languages. 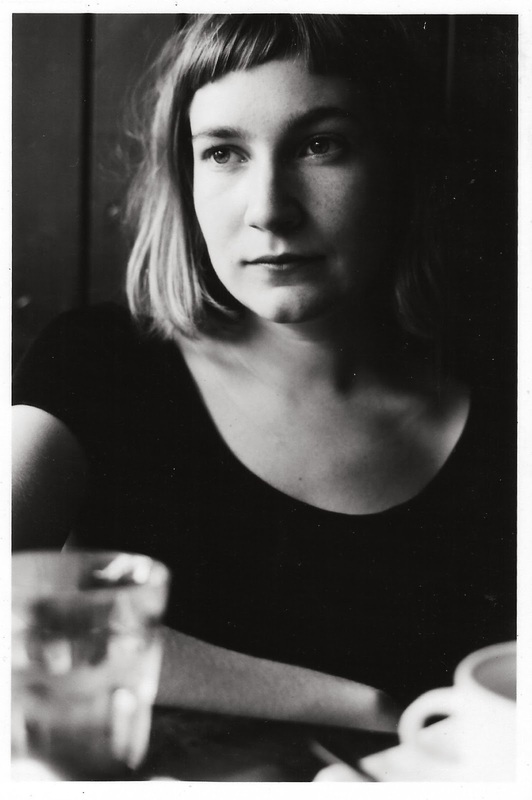 Her writing has appeared in The New York Times, The Guardian, The London Review of Books, n+1, McSweeney’s, Harper's, Bookforum, to mention only a handful. Don't miss this incredible opportunity to experience two of the most important authors writing today, on-stage together!